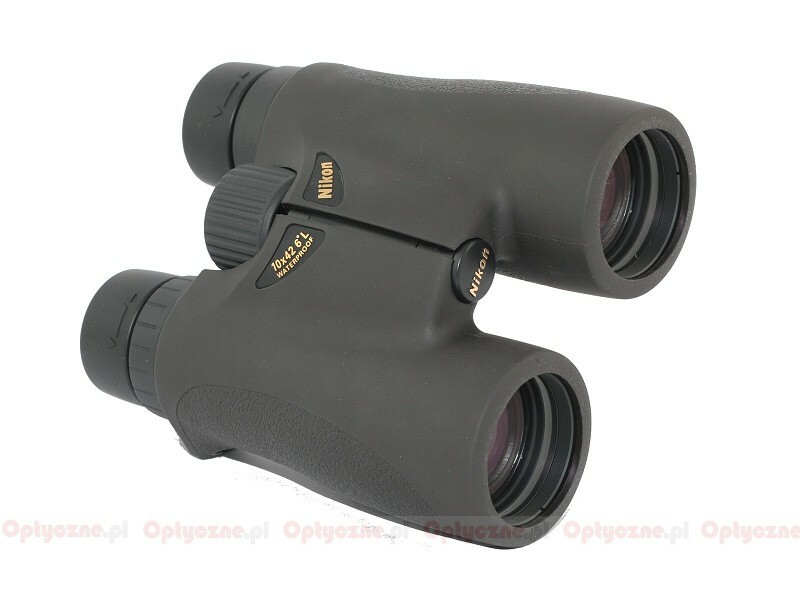 Nikon HG 10x42 L DCF - binoculars review - AllBinos.com . I would like to praise the Nikon company here: its binoculars catalogue is not only published in Polish but also practically without any serious factual or linguistic errors. In the case of binoculars market it is a phenomenon because almost all other manufacturers either don’t have a catalogue at all or they publish an incomplete one, or only in English, or with serious errors. 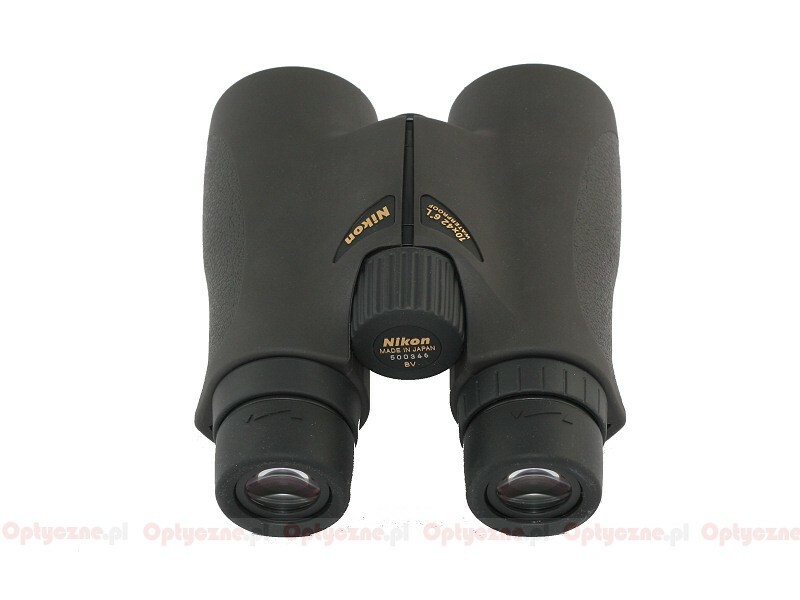 Nikon Polska , in contrast, offers us a wide list of products on more than 30 pages, with parameters and pictures of all devices - describing Nikon’s binoculars is a pleasure. 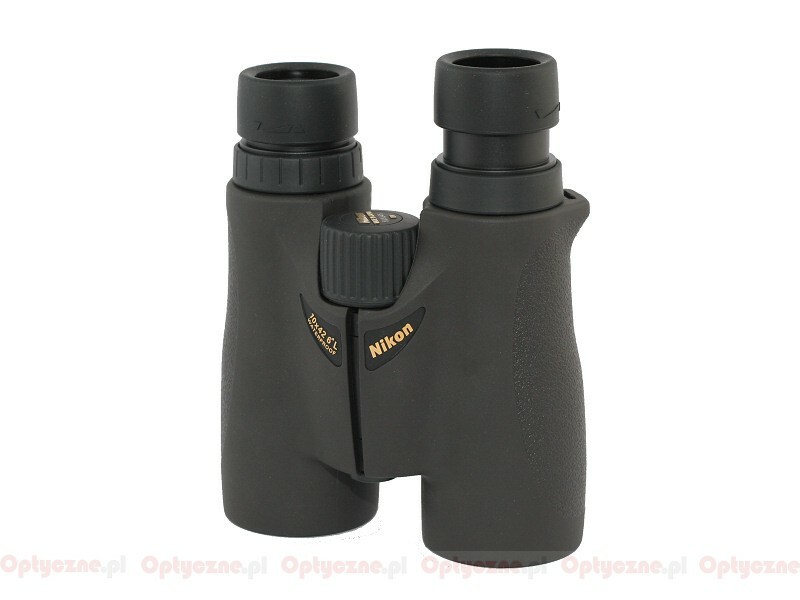 The HG L series consists of the most expensive binoculars on Nikon’s offer and, according to the manufacturer, they „have everything the best”. The series includes roof prism models with the following parameters: 8x20, 10x25, 8x32, 10x32, 8x42 and 10x42. 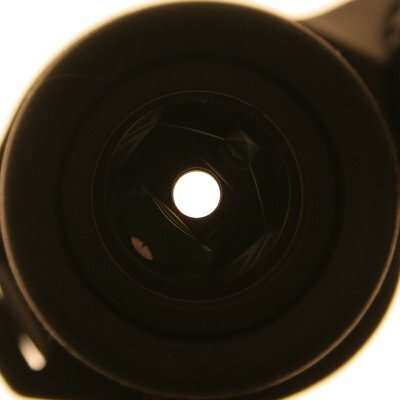 Special eyepiece lenses, which flatten the field, are supposed to make the image sharp up to the very edge. Original multilayer coatings should guarantee excellent transmission in the whole visible spectrum range, damp down unwanted flares and ensure fantastic colour rendition. 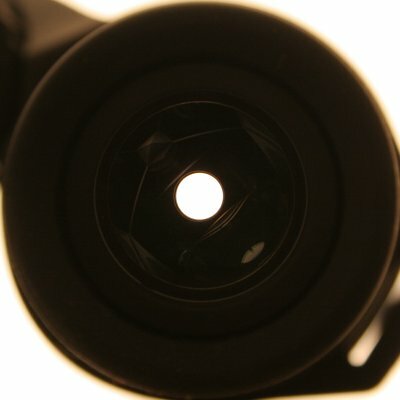 Nikon, as one of just few manufacturers, publishes honestly its instrument’s transmission curve, which, for the blue light (420 nm) amounts to about 70%, then increases very sharply and reaches its maximum at the level significantly above 90% for a wide spectrum from around 550 to 680 nm; for the red light it decreases to about 87%. The prisms are put in the Schmidt-Pechan system; they are covered by phase correction coatings and the reflective layer is covered by sliver. The HG series binoculars are waterproof down to a depth of 2 or 3 meters for 5 minutes and are fogproof because of O-ring sealing and nitrogen-purging. In the case of the 42 mm class models we can find a precise cross section of the binoculars which indicated that a three-element objective lens was applied (2 groups) as well as an additional, movable focusing lens, roof prisms and a six-element eyepiece (4 groups). 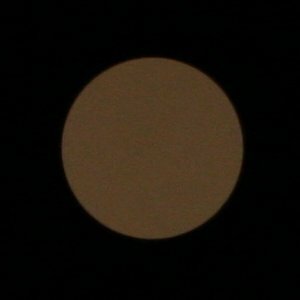 Apparent field of view of 59.7 degrees. 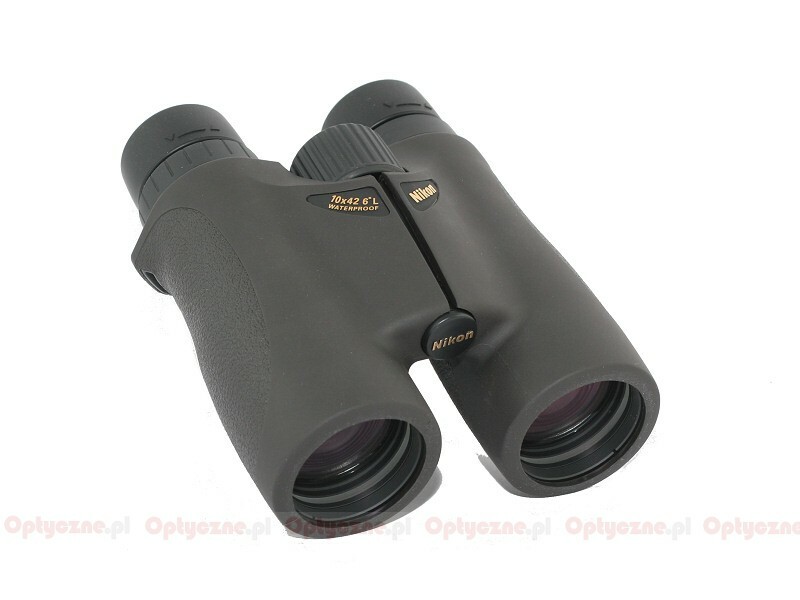 17th place in the econo ranking of the 10x42 binoculars test 5pkt. excellent blackening inside the barrels. A set of binoculars without one single weak point. In no test category did it reach a result near average or below. Its price, although steep, is still lower than the prices of the “great trinity” products (Leica, Swarovski, Zeiss). If you can afford it, it would be difficult not to recommend the purchase. The most important thing is that the promotional brochure info is, by and large, in 100% accordance with our measurements. 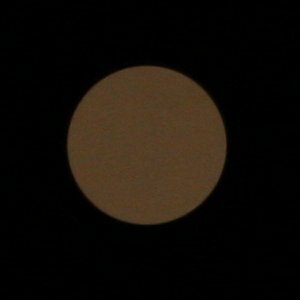 Eyepieces, very well designed, actually do provide a very sharp image up to the edge of the field and the distortion is low to boot. The transmission value, measured by us, coincide almost perfectly within the margin of error with the data provided by the manufacturer. Good coatings really do a fantastic job, guaranteeing low flares and a correct colour rendition. We are really impressed! The Allbinos.com/Optyczne.pl editorial team decided to award this set of binoculars the “The Choice of the Allbinos.com/Optyczne.pl Editorial Team” distinction for winning the 3rd place in the 10x42 binoculars ranking.